We are proud to announce that Tourism Media has won three sparkling Davey Awards for two travel guide videos. 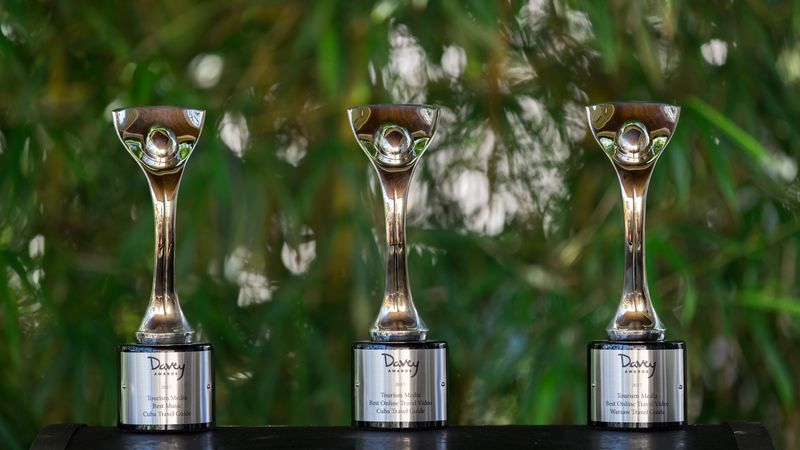 The Davey Awards are presented by the Academy of Interactive and Visual Arts to small- and medium-sized creative businesses. The Warsaw and Cuba videos both won in the travel category of their online film awards, and the Cuba video also picked up a gong for its original musical score. The team affectionately recall John becoming a method writer whilst working on the Cuba project. This involved many attempts at Cuban accents and a substantial amount of Cuban music played in the office. They were also very excited to work with the world-renowned voice actor, Frank Chavez, who famously voiced Fernando Martinez in the Grand Theft Auto games. These videos would have been impossible to complete without the dedicated, ongoing support of Neil Stickells, Tim Spektor, Tevin Anderson and the fantastic Expedia SEO Team. Check out the travel guide videos here.